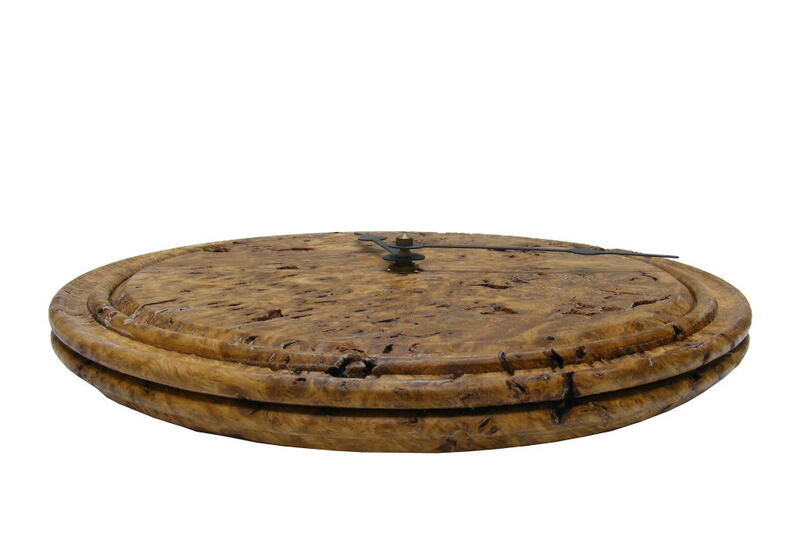 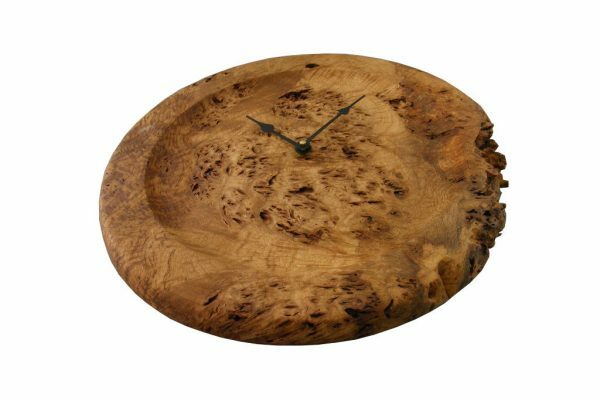 Oak Root 3 wall clock. 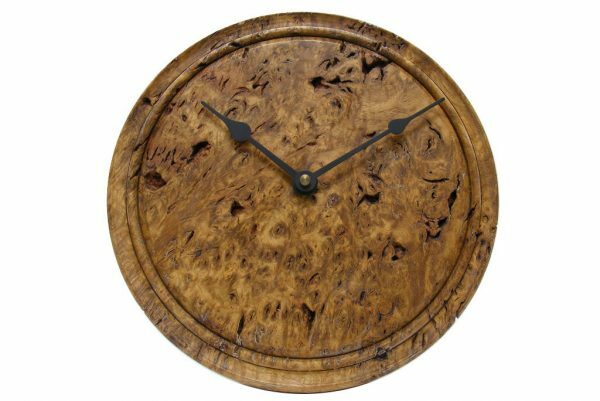 Beautifully grained oak root wood made into a unique clock. 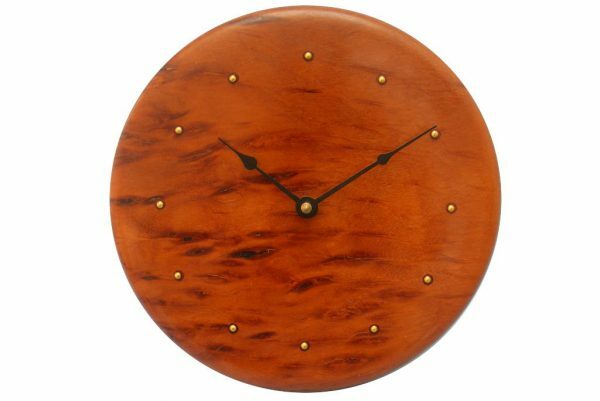 With battery-operated quartz movement running on a “A” battery.